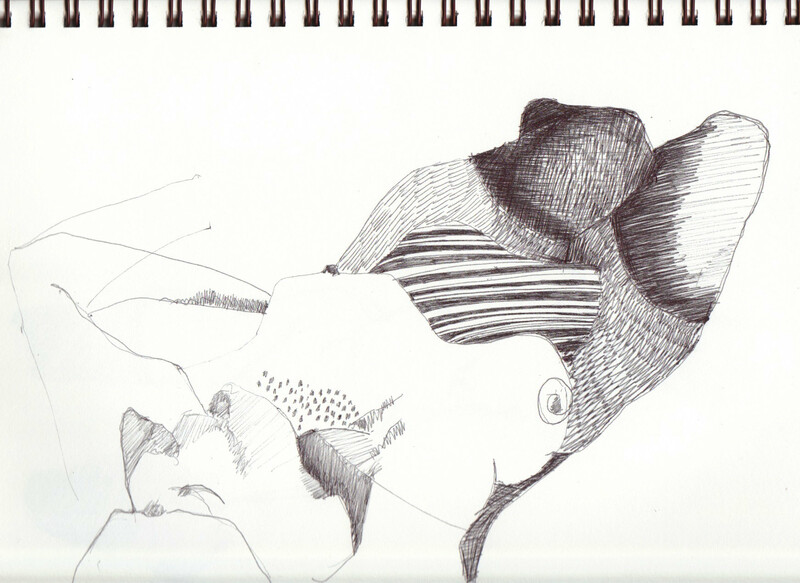 I love drawing with a biro and sometimes I pull them at life drawing sessions here is one image from thursday I did some others but I want to add a bit of colour to them first – this is an A4 strathmore visual journal 20 min pose. Looks like you had a lot of fun there. Real tapestry of marks! What a terrific life drawing. It makes me wonder whether the textures and patterns are invented by you for effect, or if the model was partly clothed. I suspect the former. What were your inspirations for the patterns? Thanks and yes the former – I am an old textiler by trade so patterns are part of the vocabulary but what I am trying to explore is how I might incorporate pattern into and onto my sculptures – mark marking. i also have to be perfectly honest sometimes I get really bored in life drawing with endless reclining bodies – I prefer more upright and active poses and the mark making was also in part filling in time – glad you liked it . That makes sense. It’s too bad the models where you go aren’t more … perky. The ones who do the sessions at my studio are generally pretty adventurous. Some times almost too much so. Anyway, thank you for sharing a peek into your creative process. Your textile-informed technique is very arresting. My pleasure. It’s a beautiful sketch.